Updated Daily: ==Best viewed with Internet Explorer set at 800x600 pixels screen resolution== CONGRATULATIONS To Lynyrd Skynyrd! 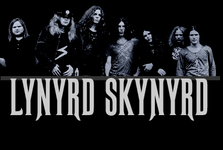 In 1987, the name Lynyrd Skynyrd was revived for a "reunion" tour featuring Rossington, Powell, Pyle, Wilkeson and King, with Ronnie's brother Johnny Van Zant (vocals) and Randell Hall (guitar). One of their performances was later issued as the live double set, Southern By The Grace Of God. Collins had earlier been paralyzed and his girlfriend killed during an automobile accident in 1986. 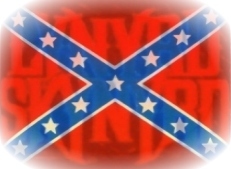 When he died in 1990 from pneumonia, this only helped to confirm Lynyrd Skynyrd's status as a "tragic" band.The most spectacular aspect of this was a 20th anniversary performance live on cable television in February 1993, with Rossington, Powell, Wilkeson, King and Johnny Van Zant joined by guests including Peter Frampton, Brett Michaels (Poison), Charlie Daniels and Tom Kiefer (Cinderella), the latter having also written new songs with Rossington. The Rossington led line-up, which also features Rick Medlocke (guitar, vocals; ex-Blackfoot) and Michael Cartellone (drums; ex-Damn Yankees), has continued to release worthy recordings on the CMC International label into the new millennium, and remains a huge draw on the live circuit.Here is more Skynyrd History Here. Legendary southern rock band LYNYRD SKYNYRD welcomes guitarist Mark Matejka to join Gary Rossington and Rickey Medlocke as part of the triple-guitar attack.Mark will fill the position previously held by Hughie Thomasson. "It's a dream come true to play with Lynyrd Skynyrd and I couldn't be happier,' says Mark. 'Having played with Charlie Daniels I feel it's an honor to be back playing in the southern rock tradition." Mark previously played with bands such as The Charlie Daniels Band, Hot Apple Pie, and Sons of the Desert.Sample some of Mark's guitar playing here.Type in Hot Apple Pie in the video search.